Loading takes a very long time. Scanner, 3D Analyzer and Monitor - exclusively for Windows 10! © 2015 wificommander.com. All rights reserved. "Impressed. 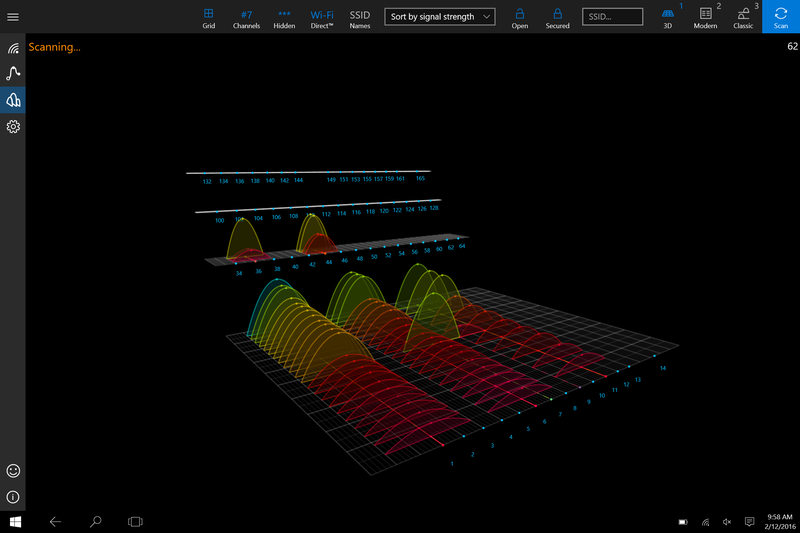 The interface is polished to iOS levels. 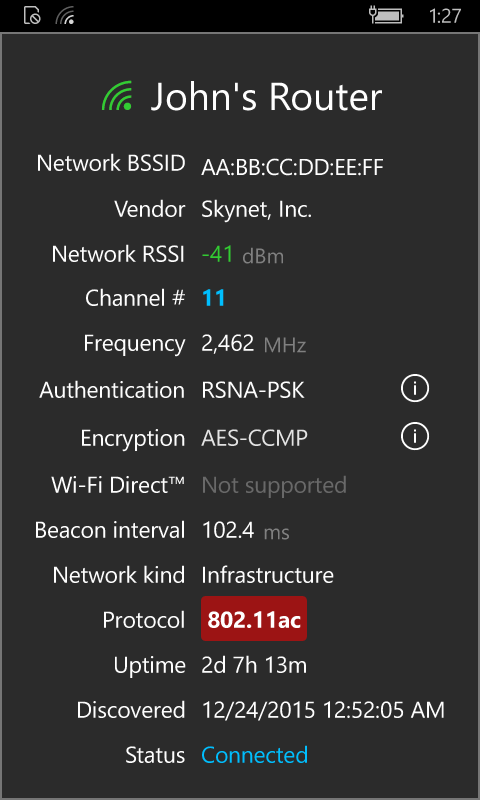 My new favorite WiFi diagnostic tool." "Its about time. A friend of mine had an app like this for his mac... Now finally I have one for Windows 10... awesome." "Na geht also doch! Vielen Dank dafür! Standard App Funktion unter IOS und Android und nun endlich auch unter Windows 10...hoffentlich bald auch unter Win Mobil 10. Dafür würde ich sogar gern bezahlen..."
"Excellent app. Easy to use for non-tech people, and tech people alike. Very interesting display"
"Excellent App. Great UI and really useful app, good work, well worth the money ☺"
"lots of info available. It's polished, and gives every available piece of info, including manufacturer info of devices found. Really nice app. My new go-to"
"Very Useful Tool. 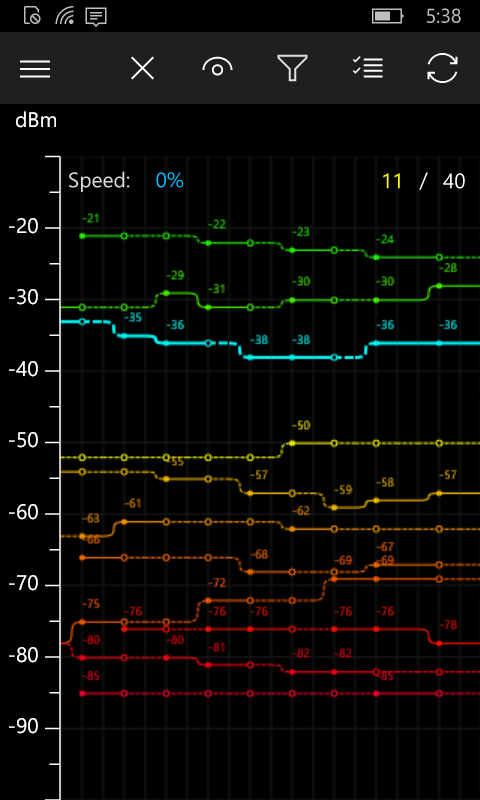 It's a very good app with both mobile phone and PC user interfaces. Two very useful and practical usage scenarios: 1) for checking Wi-Fi signal strength so that you know where the good and bad spots are for placing certain devices at home; 2) you may have channel conflicts with your neighbors, in a way that your Wi-Fi connections may not be stable. Use this tool to check these two issues easily, and solve them with ease. Highly recommended!" 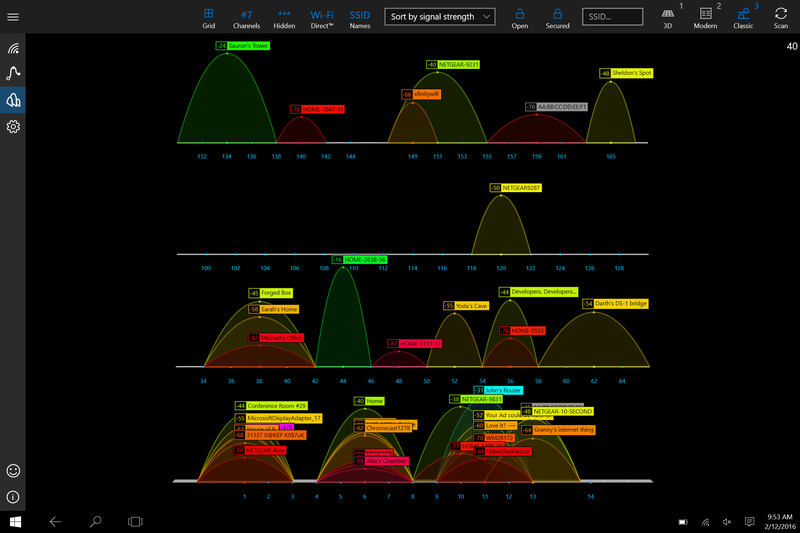 "Excellent Wi-Fi Analytical App! As a network security expert, one of my jobs is to monitor company Wi-Fi and note any and all potential security problems. I always use Wi-Fi Commander as one of my diagnostic tools during these sessions so I can find rouge networks, and rip them out!" "5 stars. Easy to use and better than most of win32 applications." "Great UX! Does a really good job showing what APs are in my vicinity!" "Хорошая программа, много возможностей. Отображение обстановки в эфире в 3D-формате - интересная идея, красиво выглядит." 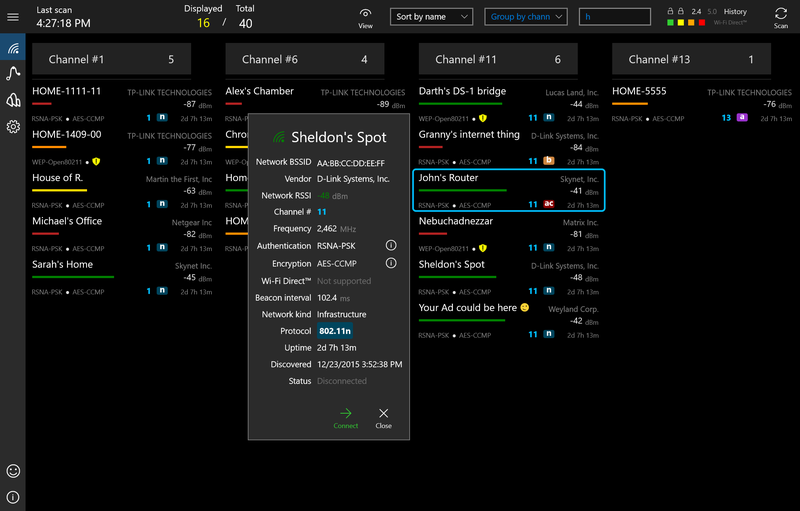 "This app is really great and has helped me find the correct channel to have my main router on." 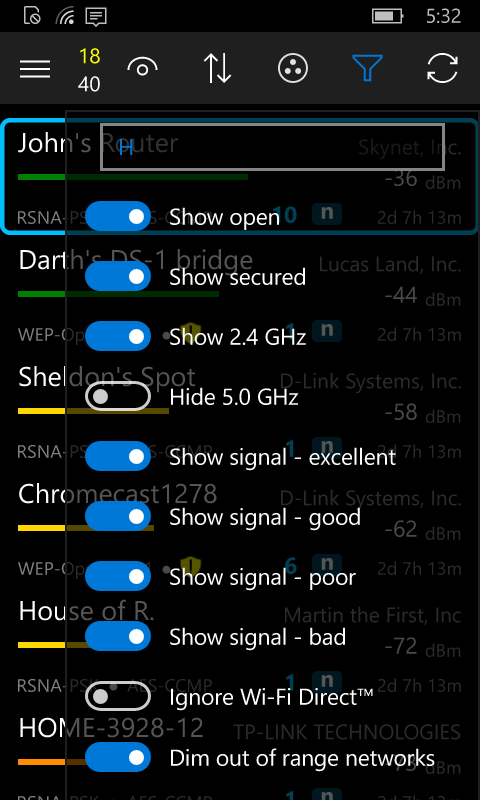 "Great piece of sw. A proper WiFi monitor now for WP! 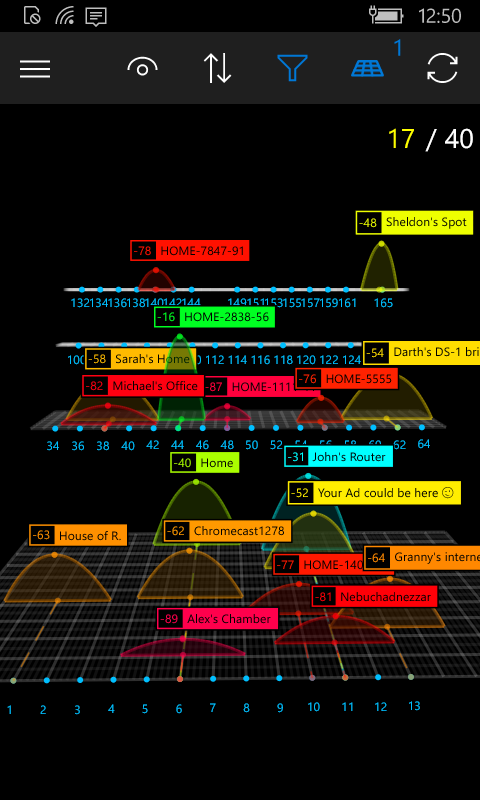 With this app, it is possible to see where are the problematic areas in your WiFi coverage." "ITS ABOUT TIME! Excellent wifi diag.app. Need more guys like this developing quality apps. And it is a QUALITY APP ! 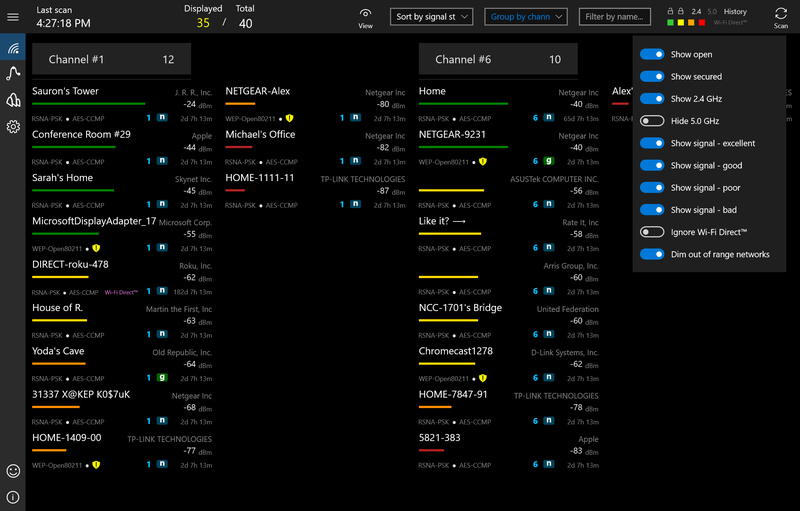 You in IT and need an excellent WIFI diagnostic app, this is the ONE. MAC address, Channel, Network type, Signal and more !!!!!!" "Fantastic tool to have. Have been waiting for something like this for the Windows platform, this is a very handy tool to have." 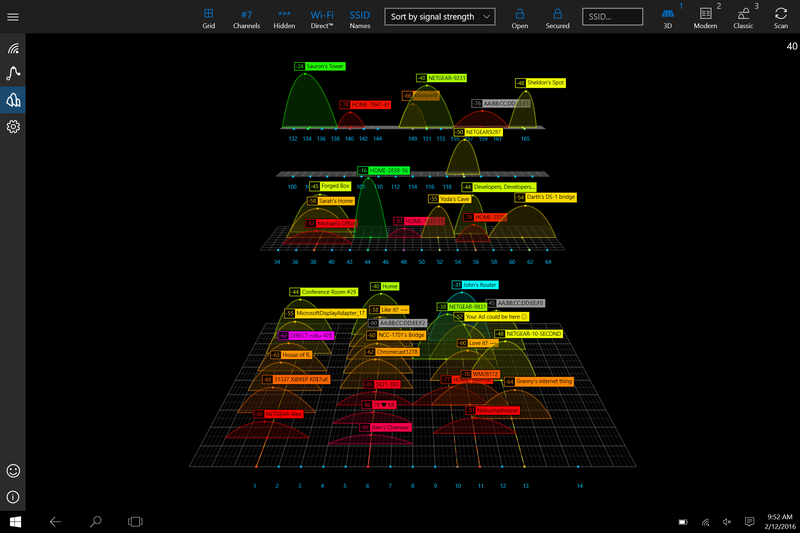 "Outstanding Scan & Monitor App. 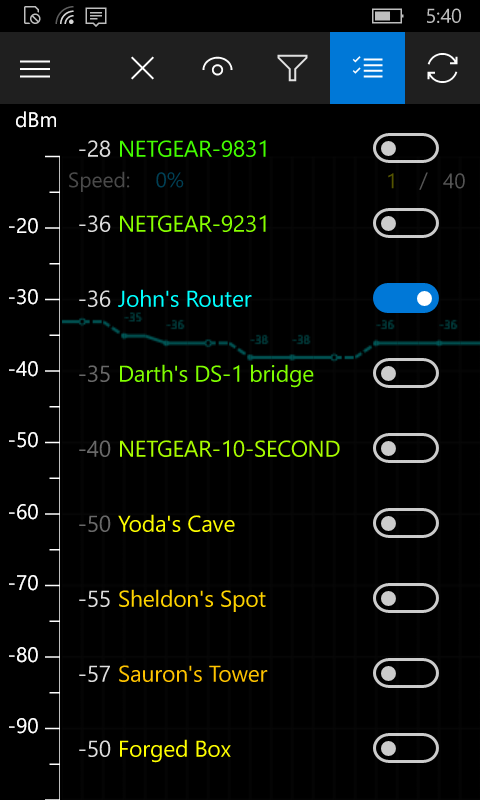 Best Wi-Fi app I have tried to date." "Полезно и информативно. То, что надо. Удобный интерфейс, все понятно, наглядно. Хороший помощник в выборе наименее загруженного канала." "Perfeito. Esperei tempo demais por um app desses na loja. Porém, valeu a pena. Super completo e detalhado, além de bonito. Aproveitei e até mudei o canal do meu roteador, que estava igual o do meu vizinho. :)"
"TOTALLY AWESOME!!!!! 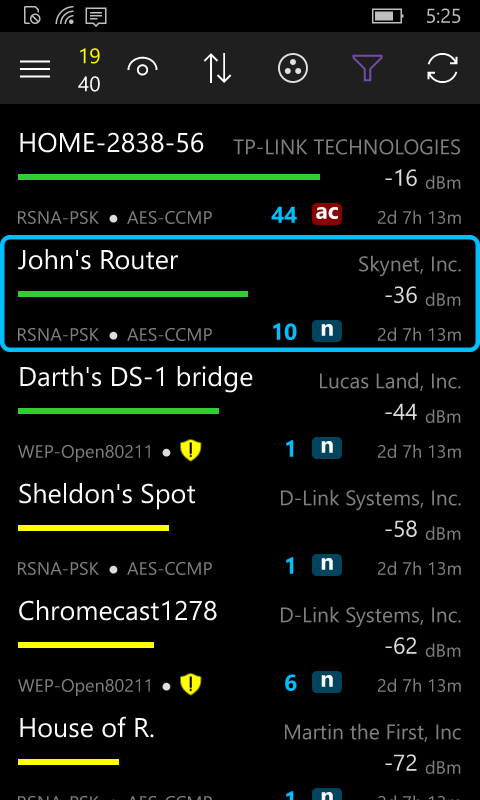 The only thing I missed from Android was the wifi analyzer app. Now, I don't ever have to look back again!" "God Wifi Scanner! Lige hvad jeg manglede, super god app til at finde trådløse net, og deres frekvenser :)"
"Great WiFi Analyzer even for the avg Joe. 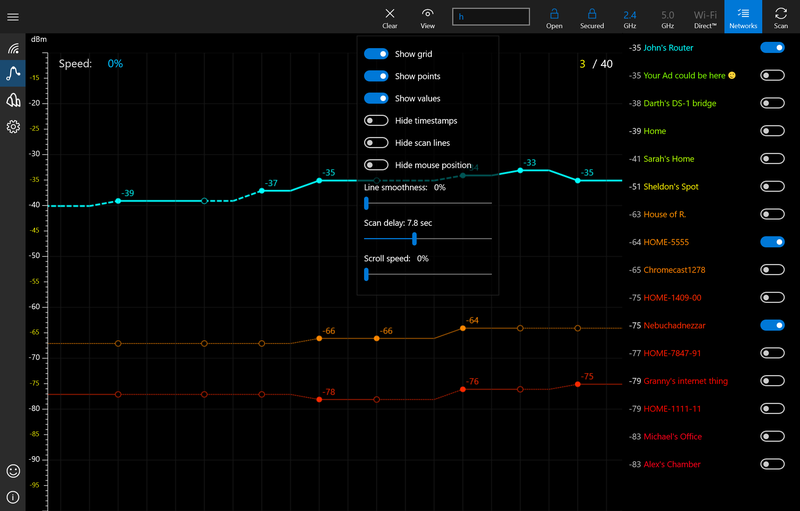 This is a beautifully designed WiFi analyzer, with an interface that's easy to understand and use. 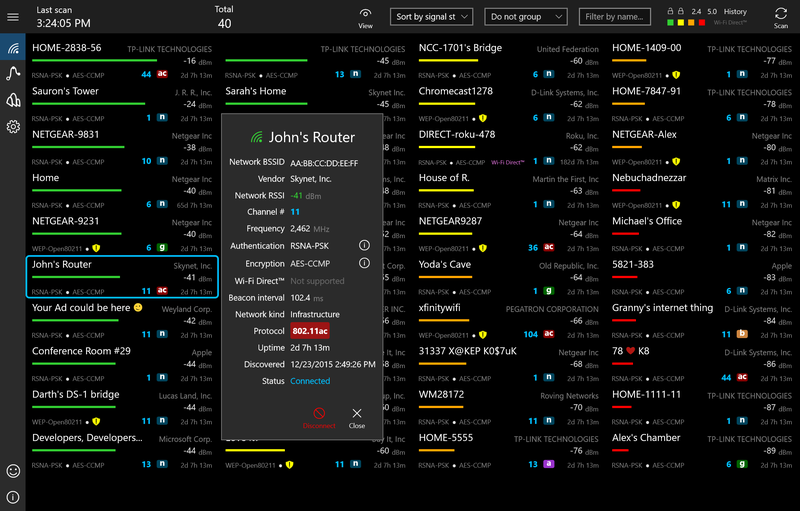 Feature set is just what's needed for most users, and enough to understand how your network signal is performing, and how other networks might be impacting yours. Great work!." "Great app. Well worth the cost." "At last an app to scan WiFi 📶. A great app, long needed too. 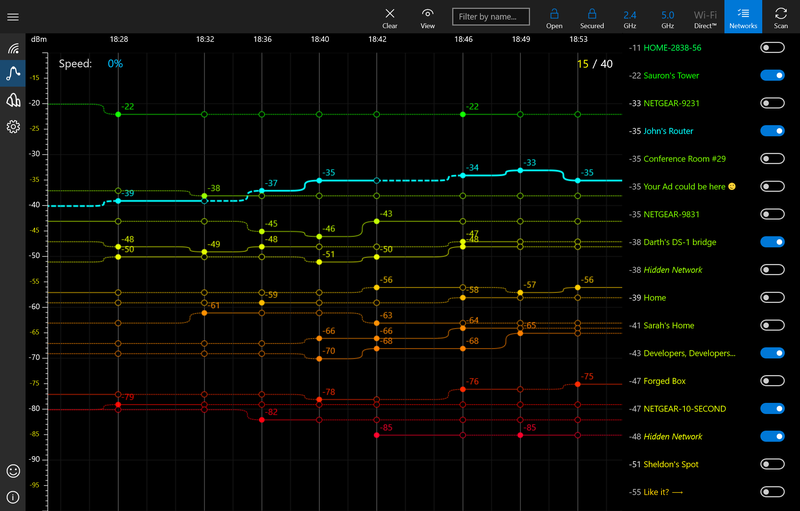 Now we can check connection status and lots of order food stuff :) thank you developers for this fantastic app." "Ottima. Fa il suo lavoro,al pari, forse anche meglio di altri programmi blasonati,con un costo molto più alto. Consigliata." "Muy buena, a la altura de cualquiera en otro SO. Al nivel de aplicaciones mucho mas caras para Windows." "Tak długo wyczekiwane. Czekałem bardzo długo na taką aplikację. Jest świetna i spełnia wszystkie funkcje skanera WiFi!" "Excellent app, use it frequently to troubleshoot WiFi issues. In Networks view where you have multiple SSIDs that are named the same, would be handy to show MAC address and highlight exactly which SSID your connected through by MAC address." 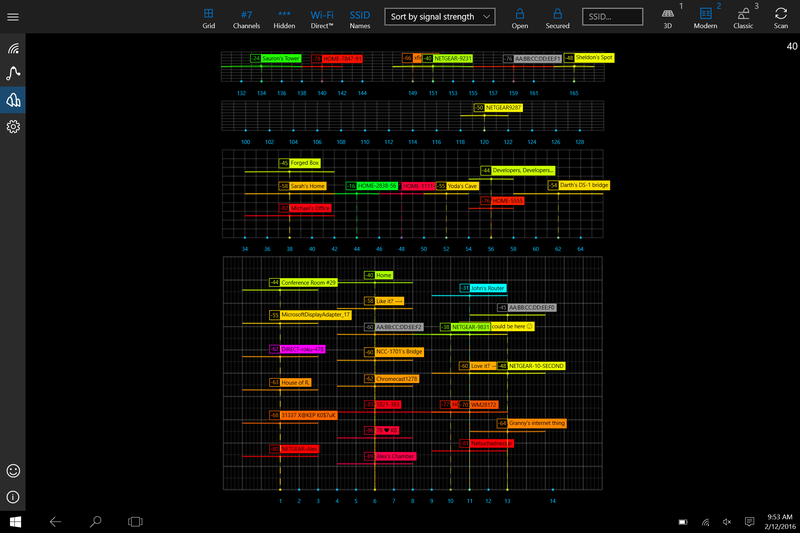 "Fantastic app. 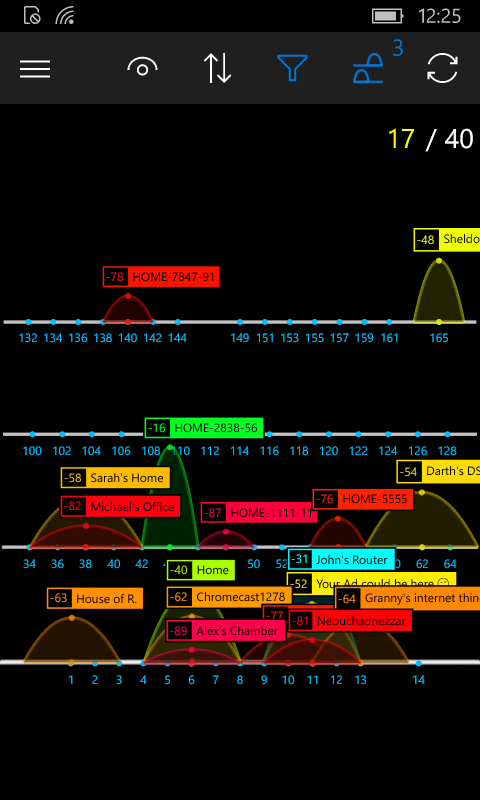 Great app for finding and monitoring Wifi networks." "Nice app. Very useful and looks great too." "Funciona muy bien! Me es muy útil para encontrar redes abiertas en sitios públicos y saber si el módem y repetidora de mi casa están funcionando bien." "Здорово! Очень подробно и наглядно." "Ottima. La migliore nel suo genere." "It really works. So far I have no complaints"
"Davvero ottima. Semplice e ben visualizzata." "Does what it says. 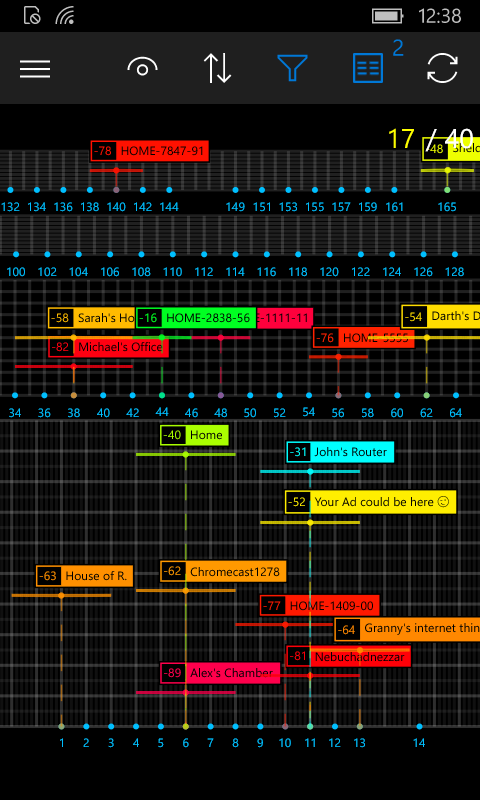 Works well and provides a good visual representation of the local networks." Let us know how we can help and we get in touch with you soon.